(Reuters) - PG&E Corp expects only five of its current 10-strong board to stand for reelection at an annual shareholder meeting in May, as it restructures after filing for bankruptcy last month because of potential liabilities from California wildfires. The utility said it also expected the board to include 11 independent directors by the time of the meeting, currently set for May 21. It did not say how big the board would finally be, or which directors it expected to stay on, only that the independent members would be in a majority. Hedge fund BlueMountain Capital Management LLC last month demanded the complete removal of the embattled Californian power company's board, saying the bankruptcy filing was unnecessary and harmed the interests of the company's shareholders. 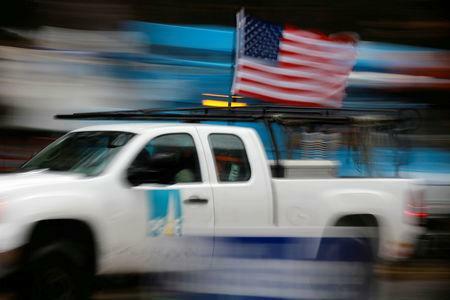 "We fully understand that PG&E must re-earn trust and credibility with its customers, regulators, the communities it serves and all of its stakeholders," PG&E said in a statement on Monday. "We recognize the importance of adding fresh perspectives to the Board to help address the serious challenges the business faces." A heated court hearing in San Francisco at the end of last month saw U.S. District Court Judge William Alsup hold off on changing the terms of the company's probation from its conviction for a 2010 natural gas pipeline blast. Alsup also scolded the company for not being focused enough on safety. The company has since outlined plans to increase the controversial practice of shutting off the power to communities at risk of wildfire when dangerous conditions such as high winds and dry heat are present. The board said it was working to identify candidates who would improve its expertise in safety, operations and other critical areas. BlueMountain did not immediately respond to a request for comment.